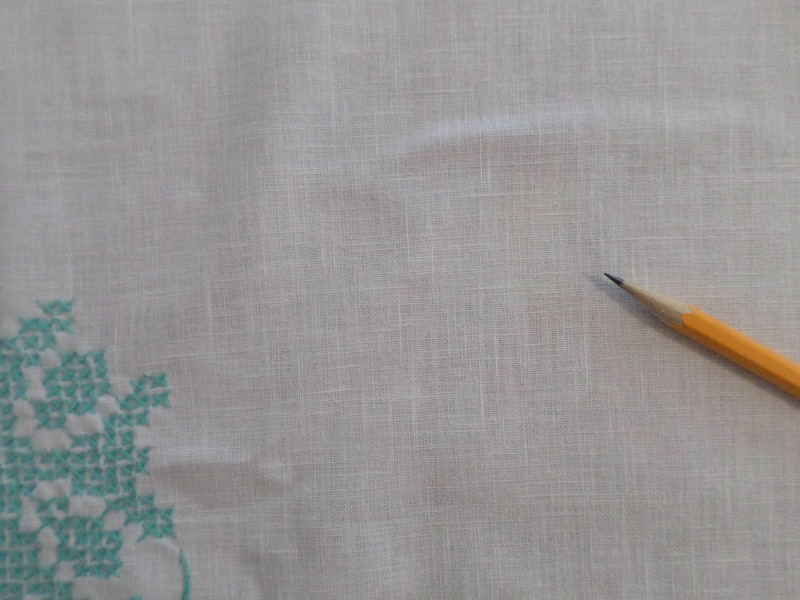 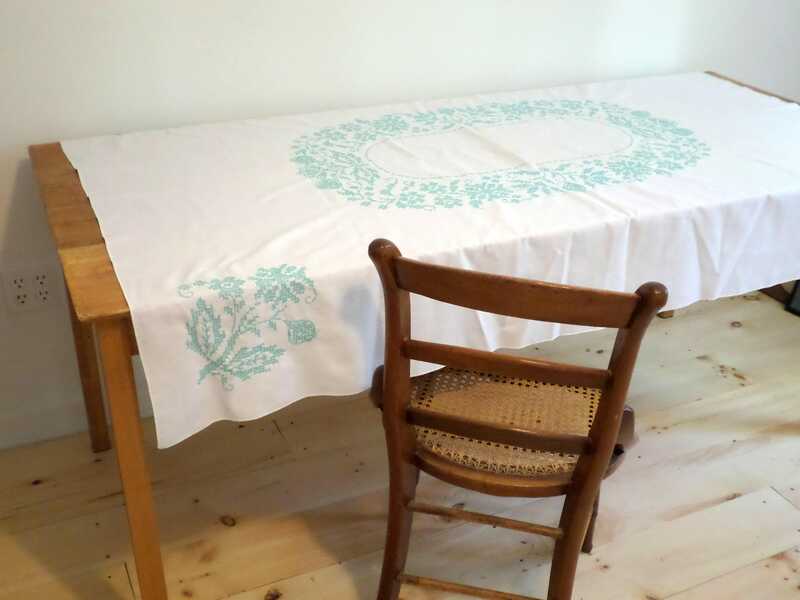 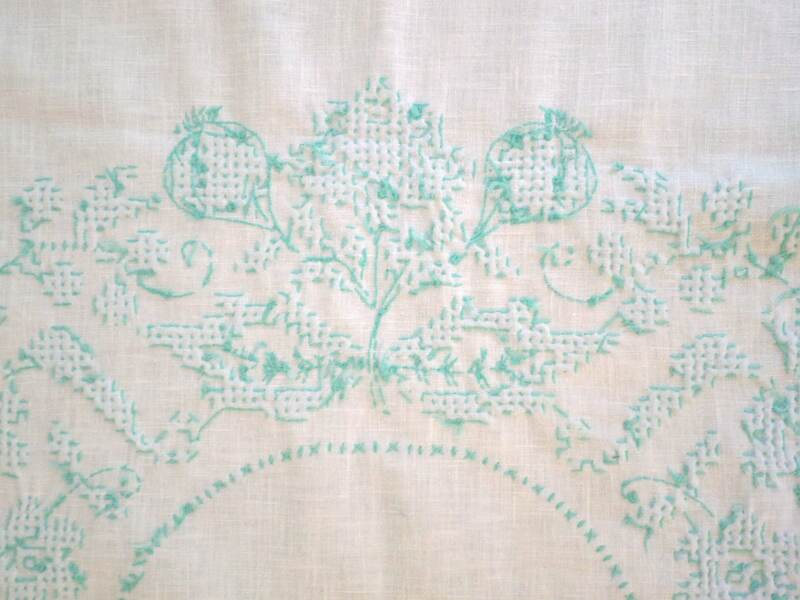 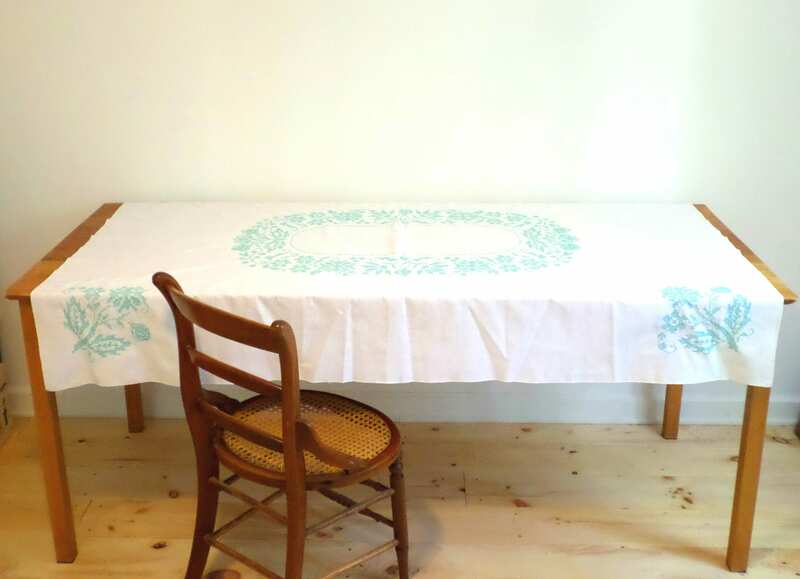 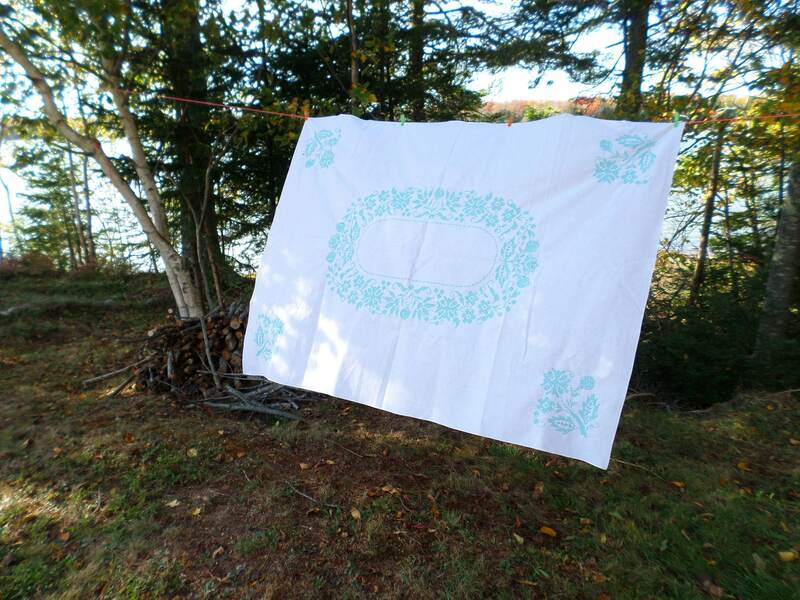 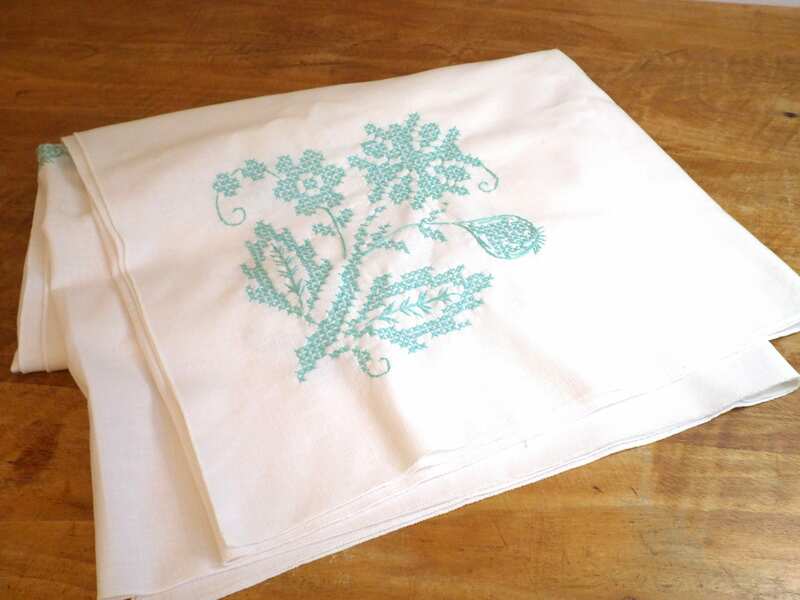 Vintage Hand-Embroidered White Linen Tablecloth or Bedspread. 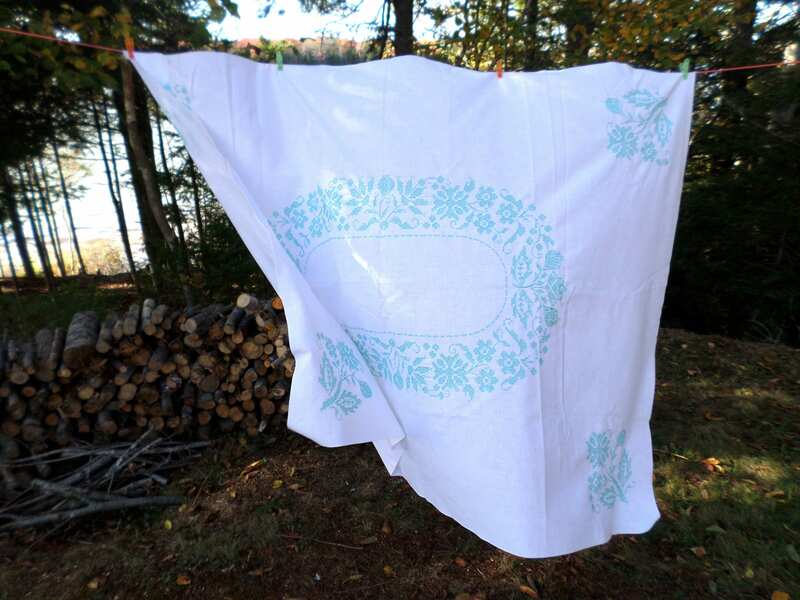 Measures approximately 49" x 66". 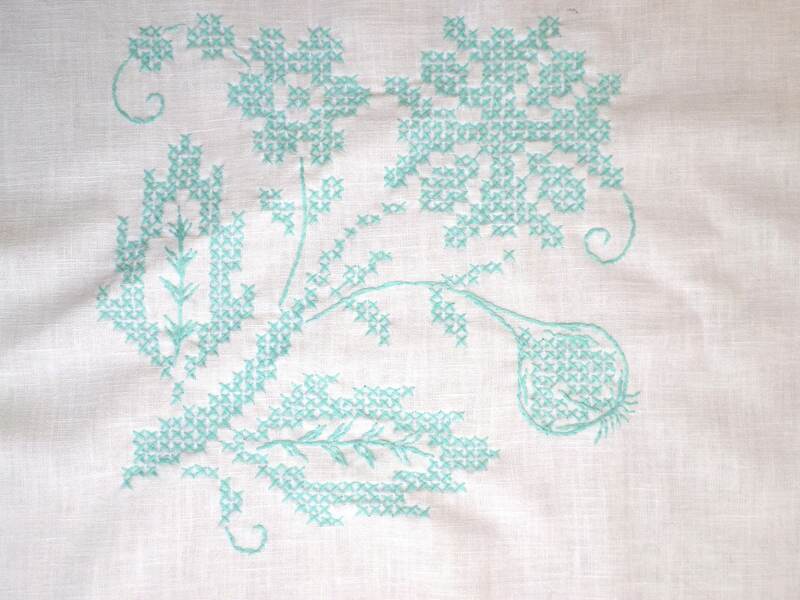 Hand-embroidered with a teal green-blue cross-stitch design. 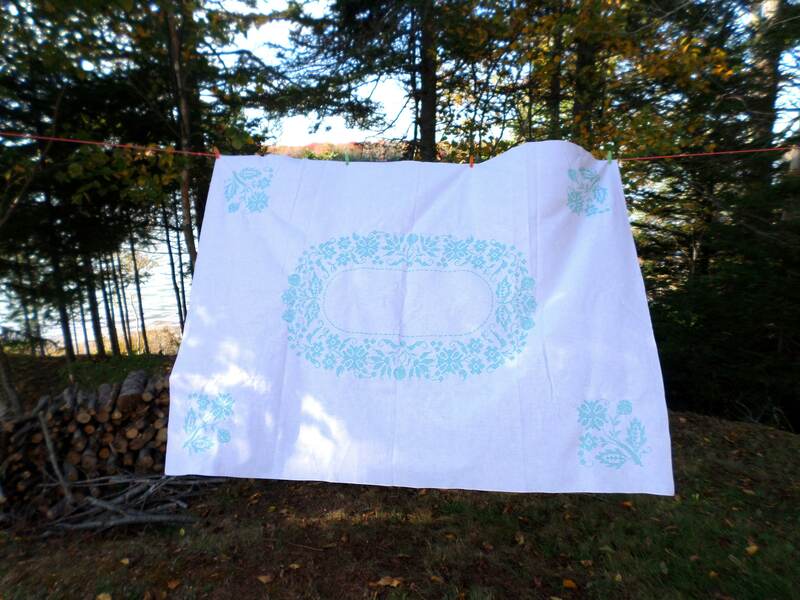 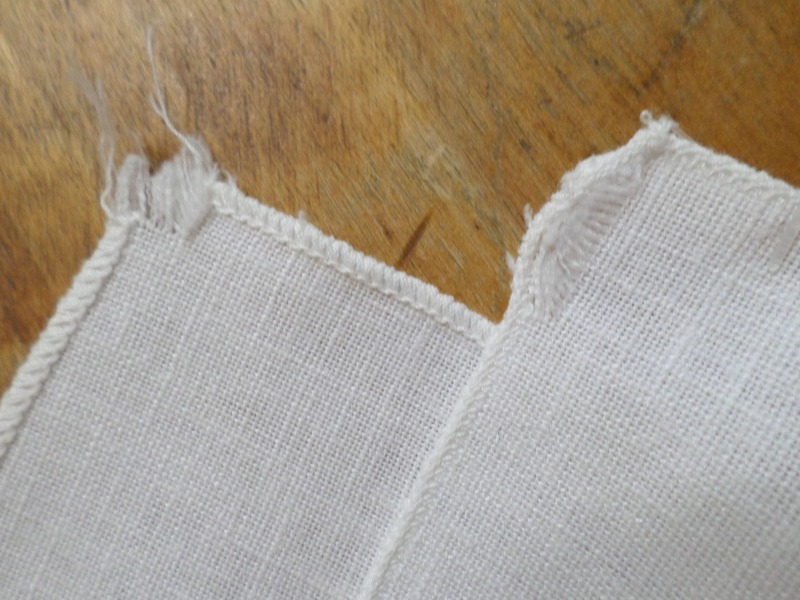 Good vintage condition, one corner slightly frayed & one area slight discoloration visible in only certain light (see photos), otherwise no obvious stains or other damage.